High winds and rough seas kept all the offshore boats at the dock today. 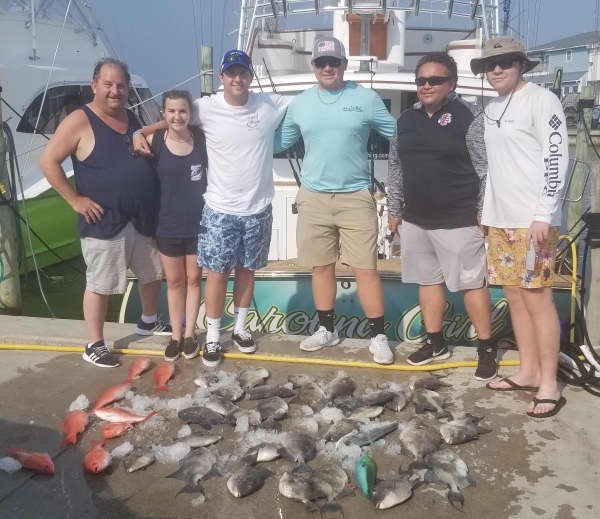 The inshore fleet kept their anglers busy catching bluefish and red drum of varies size, keeper size, over the slot size and citation size. SW winds kept offshore boats in today. 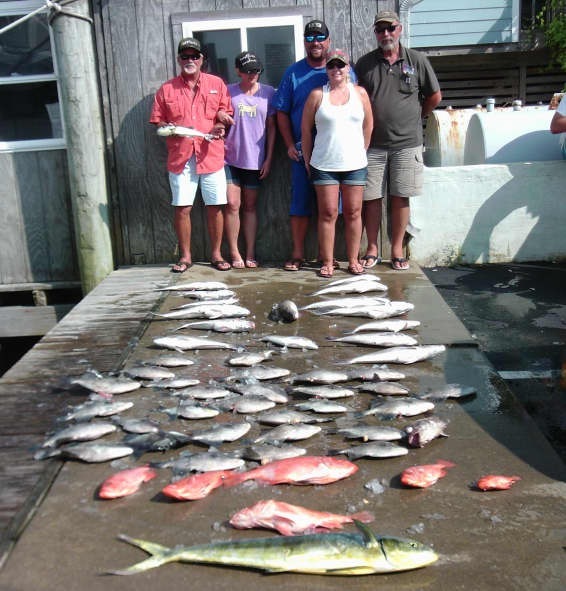 Inshore boats kept busy getting folks out fishing in the Pamlico Sound. 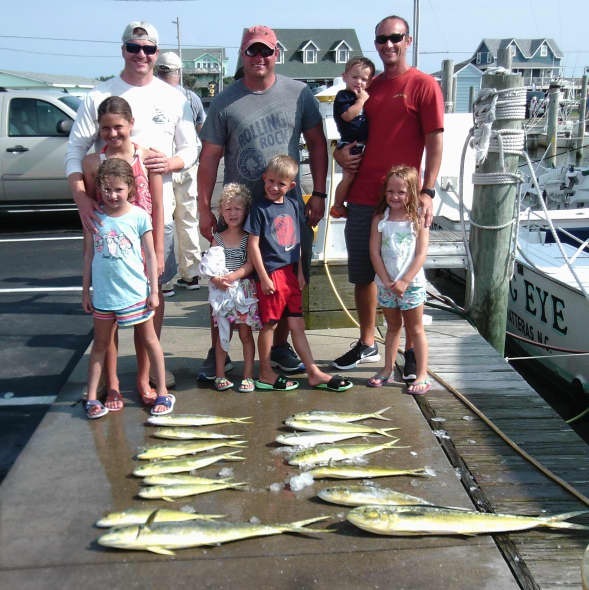 Anglers returned with Spanish Mackerel and Bluefish. 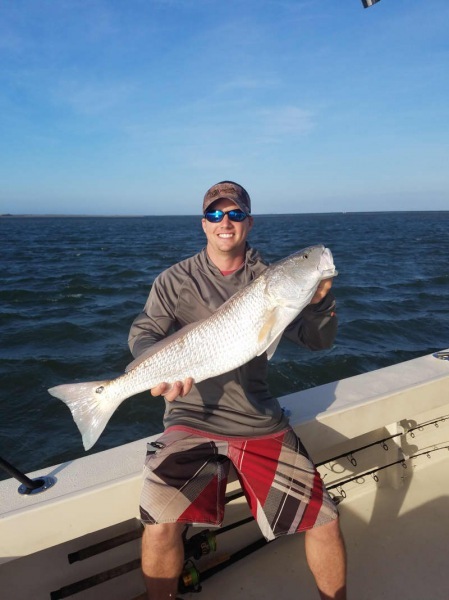 The Red Drum bite was on with over the slot releases and some keeper Drum. Several family groups ventured out and the youngsters brought back happy faces along with good stories. The weather is going to be sketchy this weekend and we'll just have to wait and see if safe conditions prevail long enough to get out. 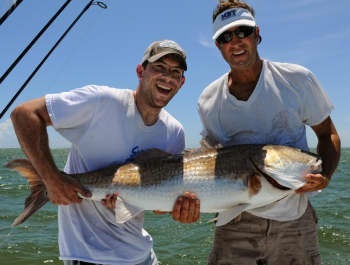 Christopher Baauer of Dresher, PA: 48" Red Drum release on Fingeance. 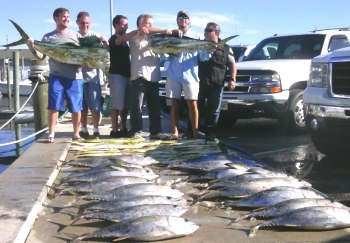 It has been a busy day for anglers! 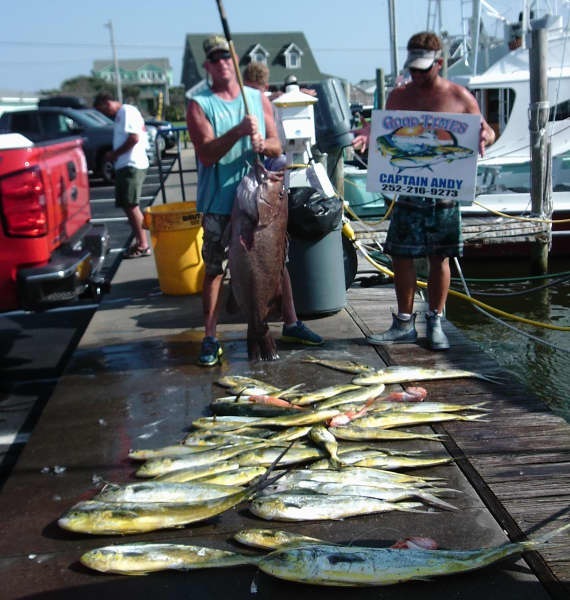 Inshore boats returned with good catches of Bluefish and Speckled Trout this morning. 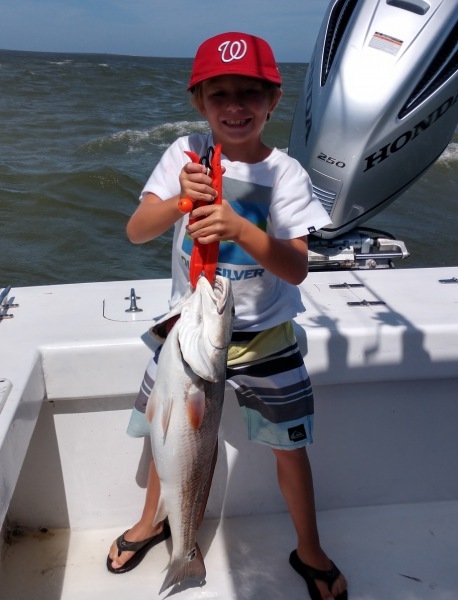 The afternoon parties enjoyed good Drum fishing (keepers and over the slot). 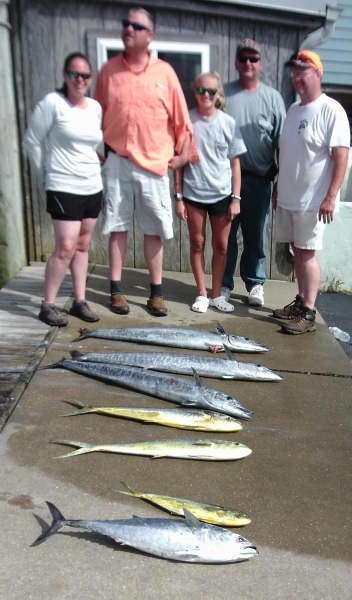 A couple of boats fished near shore and returned with King Mackerel and Spanish Mackerel. 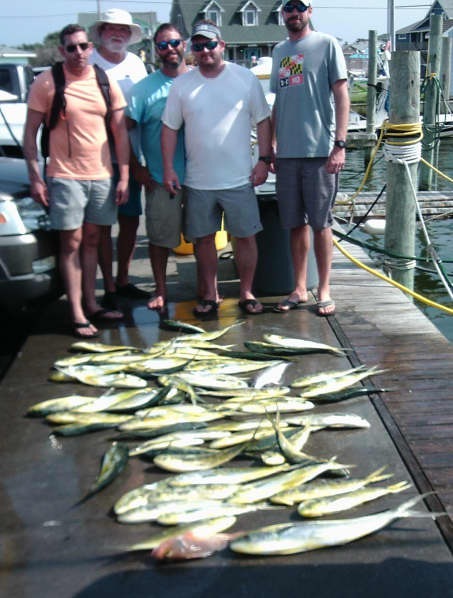 Offshore catches consisted of with Dolphin, a few Wahoo, and some Blackfin Tuna. 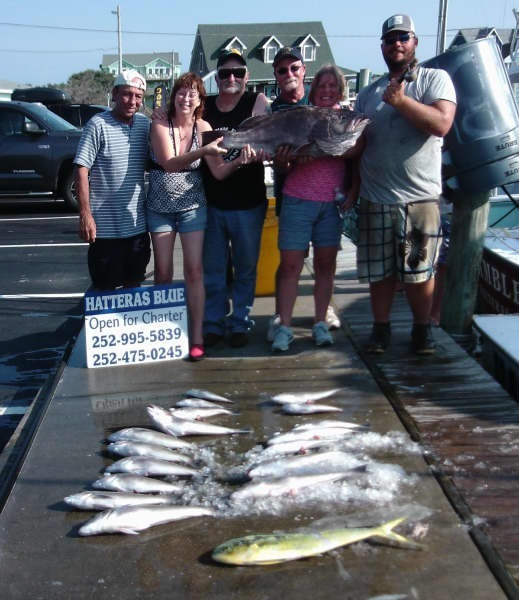 Bottom fishing was good bringing in Tilefish, Grouper, Triggerfish, Amberjack, and Barracuda. 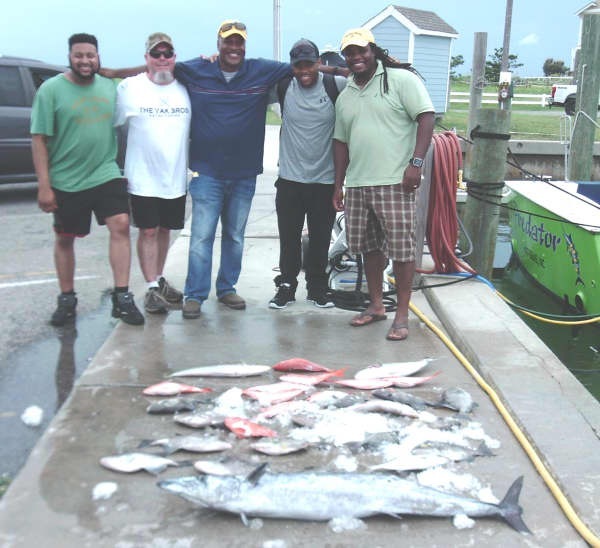 The weather cooperated and everyone returned with good cheer after a day on the water. Way to go guys! 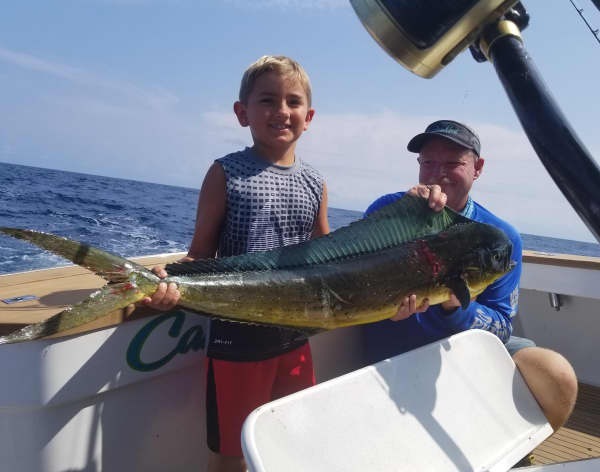 John Gaskins of Waterford, MI: Barracuda release on Bite Me. James J. Weidman of Boyertown, PA: 70 lb. Grouper on Good Times. 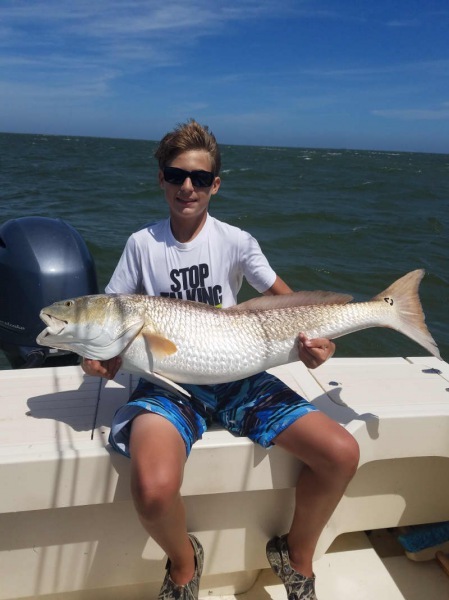 Daniel Liebler of Williamsburg, VA: 48" Red Drum release on Sound Bound. Linda Sammons of Clarksville, VA: 31 lb. Grouper on Hatteras Blue. After a few thunder storms rolled though this morning the boats headed out to the gulf stream. 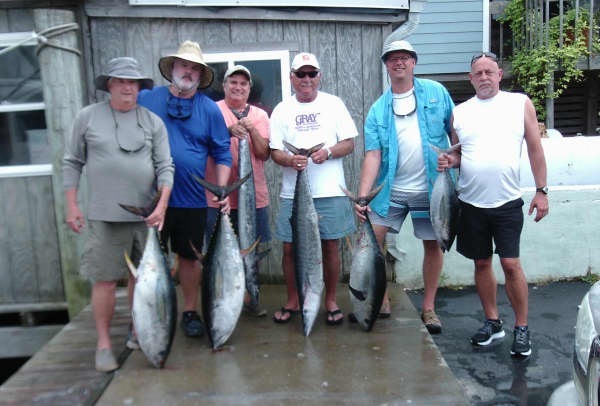 They return with some good catches of Blackfin Tuna, some Wahoo, a few Dolphin and bottom fish; Trigger fish and Tile fish. 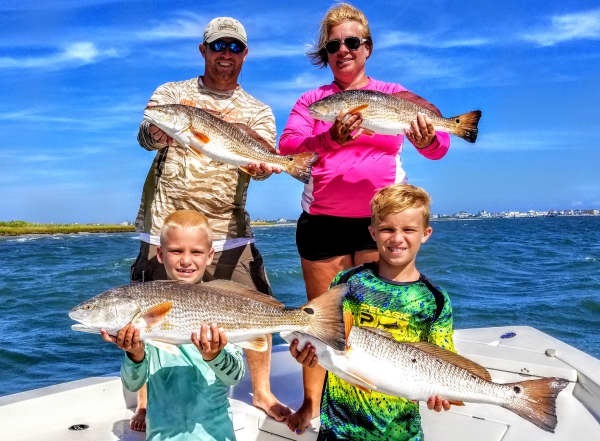 Inshore guides took their parties out in the sound and caught keeper Red Drum and released some BIG ones, also some Bluefish were caught around the inlet. Foul weather kept all inshore boats at the dock today. 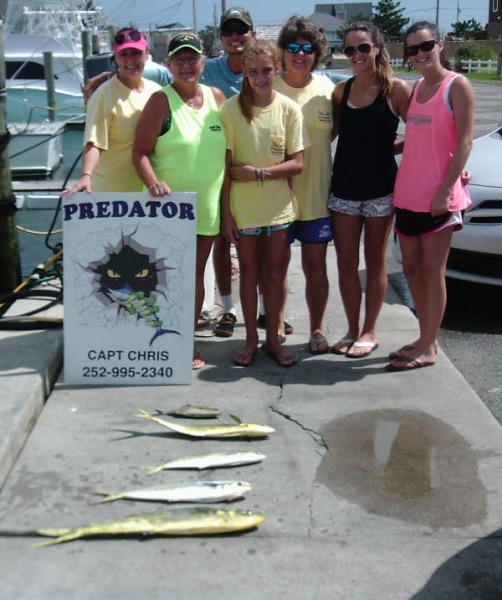 Offshore charters got off to a late start due to heavy thunderstorms early this morning. Unfortunately they also returned early due to heavy thunderstorms this afternoon. 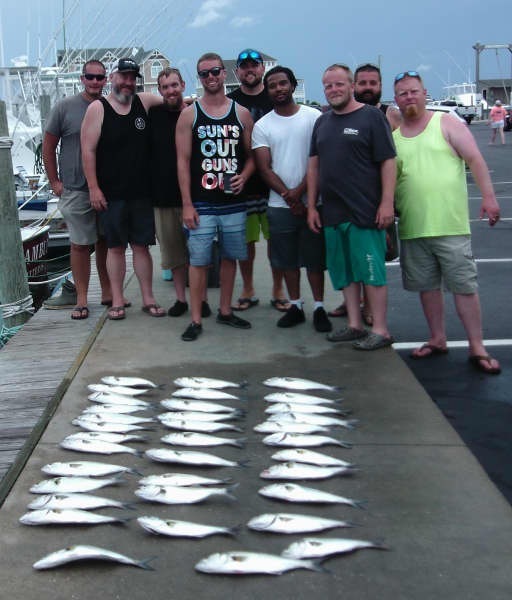 The Dolphin bite (bailers) was scattered and a few King Mackerel were caught on the way back in. 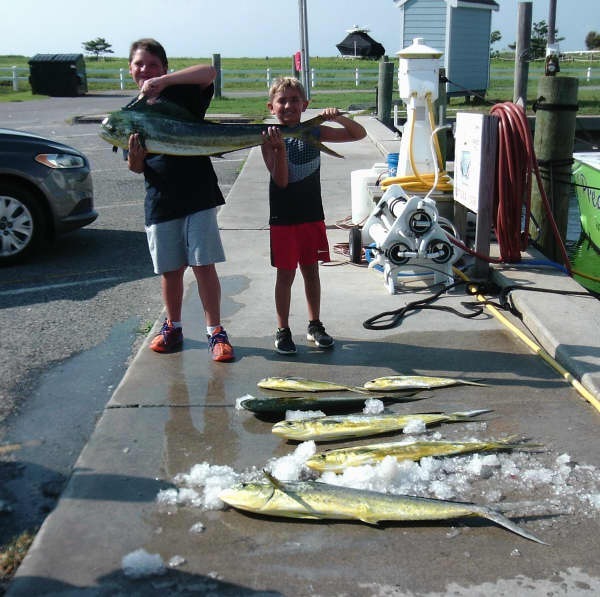 Way to go anglers for braving the tough conditions long enough to make a catch! 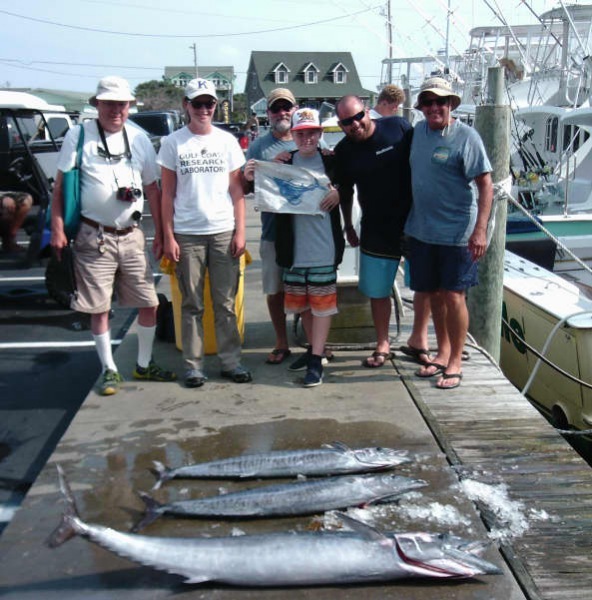 Wayne Marks of Easton, MD: 50" Barracuda release on Bite Me. Another gorgeous day to be out and about on the water. 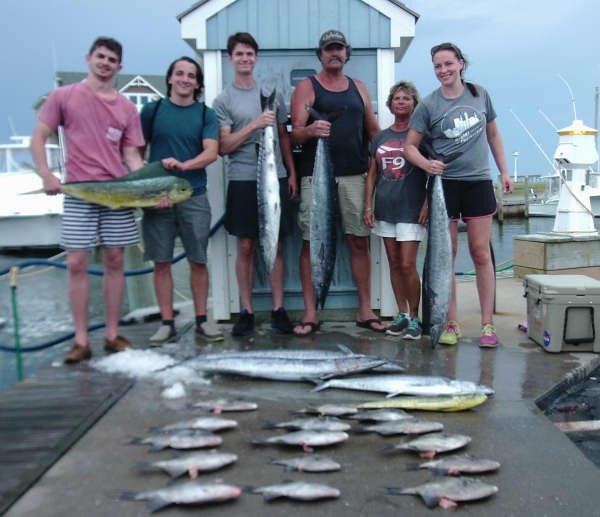 Inshore anglers returned with good catches of Bluefish and Spanish Mackerel while fishing half day in the Pamlico Sound. Some small Cobia were spotted. Two Sailfish were released by our offshore fleet today. 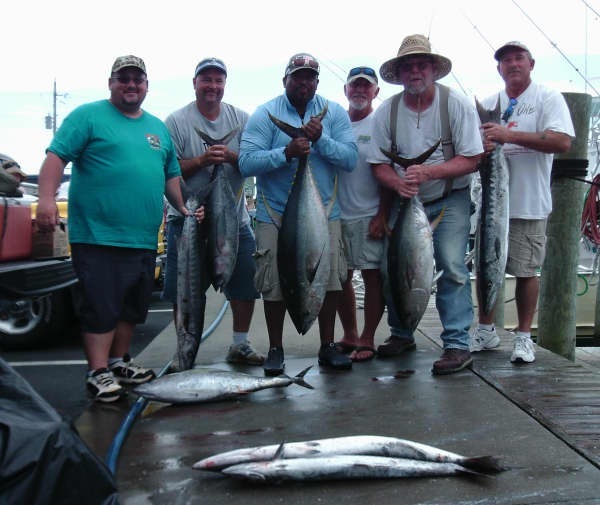 They also returned with Wahoo and Blackfin Tuna. 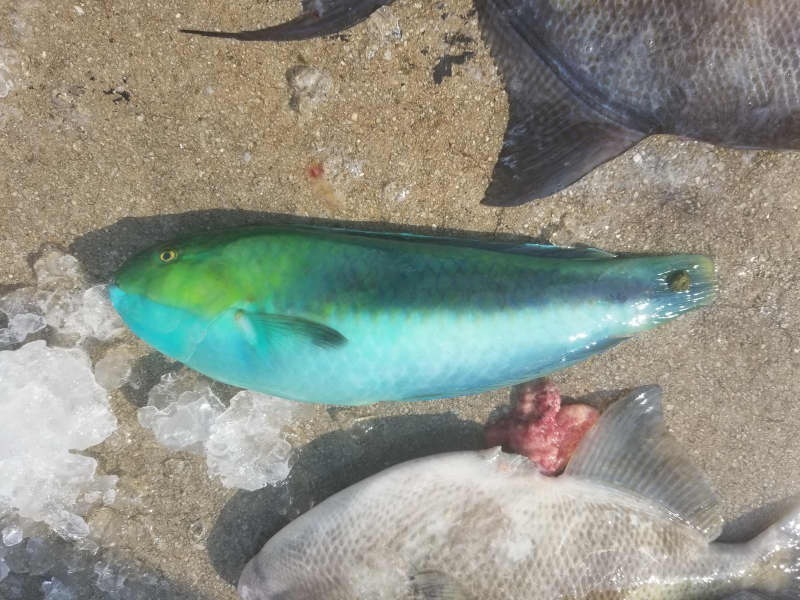 The Dolphin bite was scattered. Everyone left with good memories of a fun day of fishing as well as some good eats! Christopher Rickman of Mechanicsville, VA: 58" Barracuda release on Bite Me. 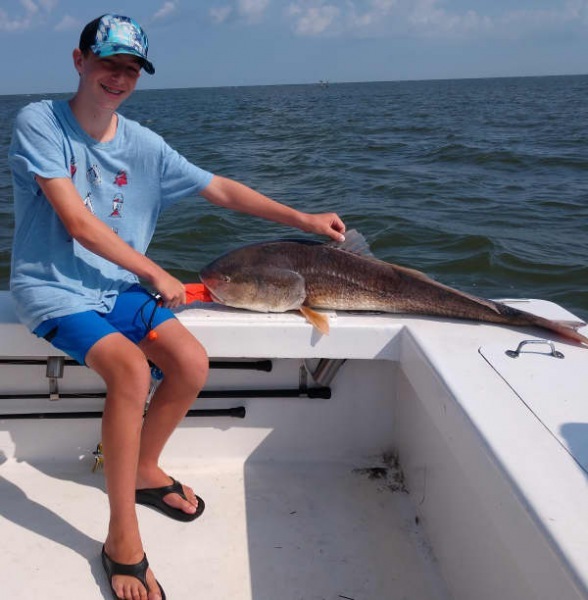 Chris Beazley of Henrico, VA: 60" Barracuda release on Bite Me. Ryan Walters of Sandston, VA: 48" Barracuda release on Bite Me. Lionel Puckett of Mechanicsville, VA: 46 lb. 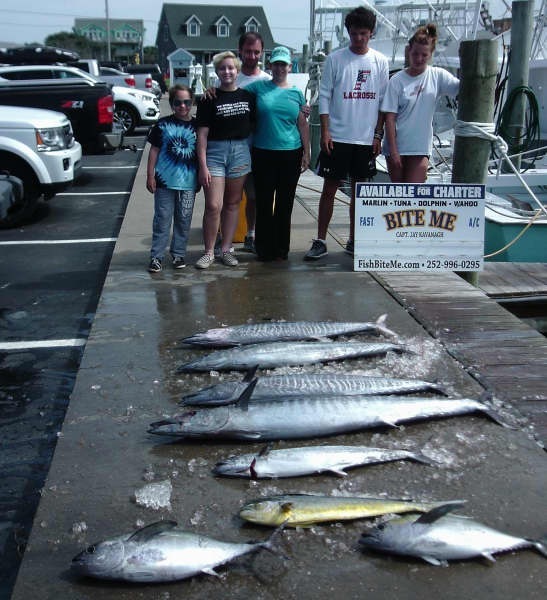 Wahoo on Bite Me. 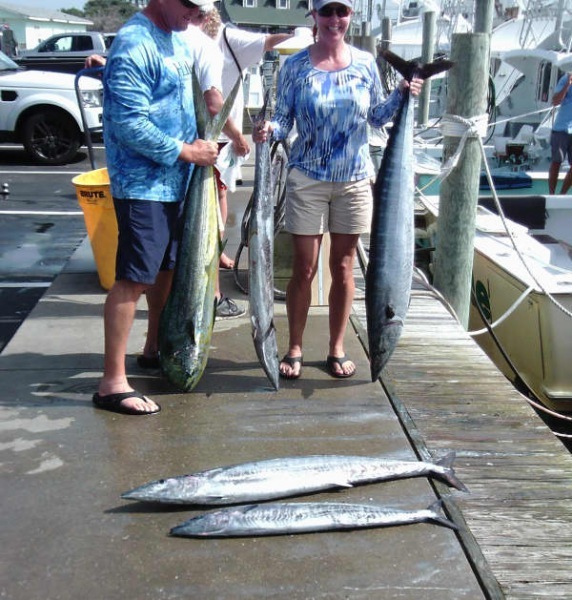 Jason Hartford of Hillsborough, NC: Sailfish release on Native Son. Temps were in the high 80's and it sure felt it out here, even the fish weren't too excited to move around. 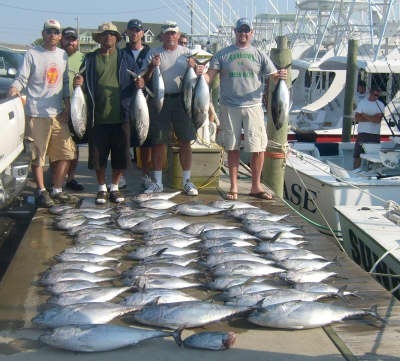 Scattered Wahoo and Dolphin with a few Triggers and Snappers. Release was our lone billfish of the day with a Sailfish. 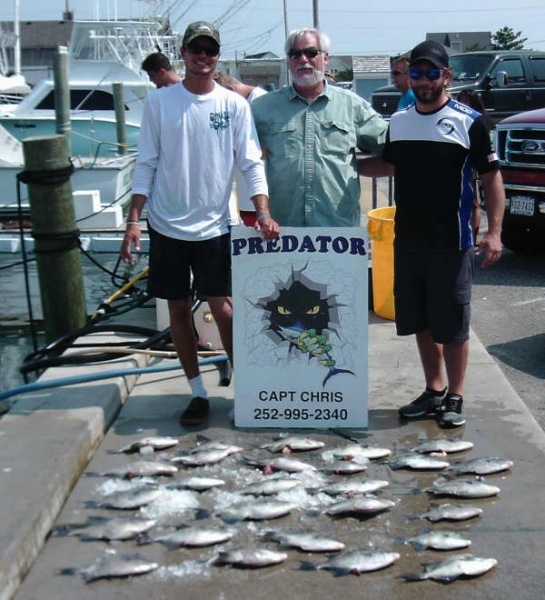 Inshore boats out on the calm Pamlico sound were finding Bluefish, Spanish Mackerel, Cobia, Red Drum and Clams. 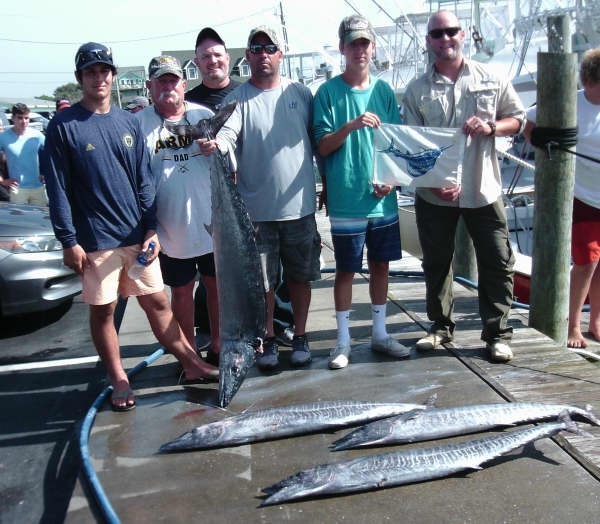 Predator: Jacob Schmidt of Hickory, NC caught a 53lb Wahoo. 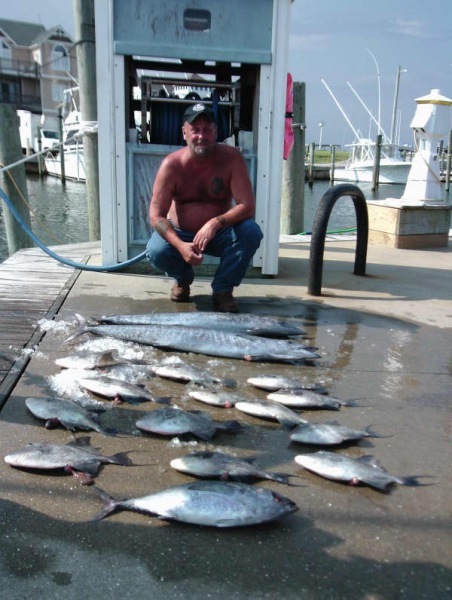 Reliance: Mark Foster of Saint Albans, WV released a 46" Barracuda and caught a 4lb Snapper. Release: Samantha Cooney of Raleigh, NC caught a 5lb Triggerfish. Mark Cooney of Raleigh, NC released a Sailfish. Andrew Cooney of Raleigh, NC caught a 22lb Grouper. 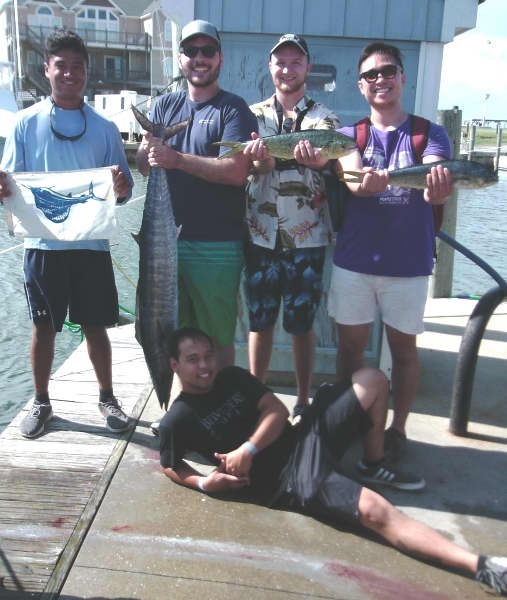 Bite Me: Jack Callaghan of Annapolis, MD released a 46" Barracuda. 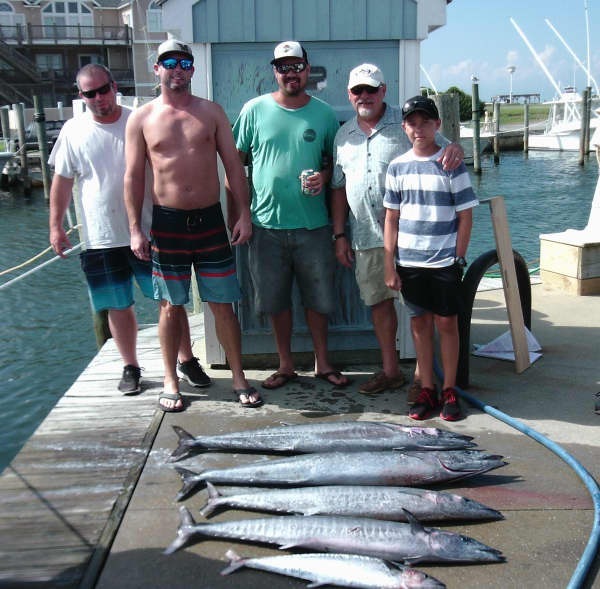 Native Son: William Kane of Highlands, NJ caught a 42lb Wahoo. 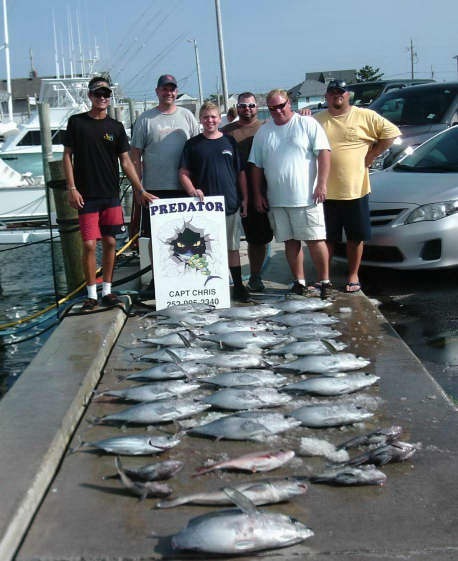 It has been a slow fishing day here at Hatteras Harbor. 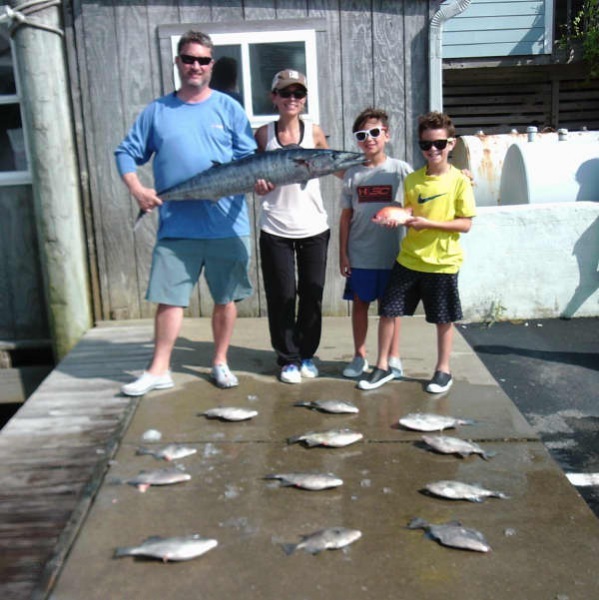 Inshore and near shore anglers had fun with the Bluefish this morning. Some groups went clamming. 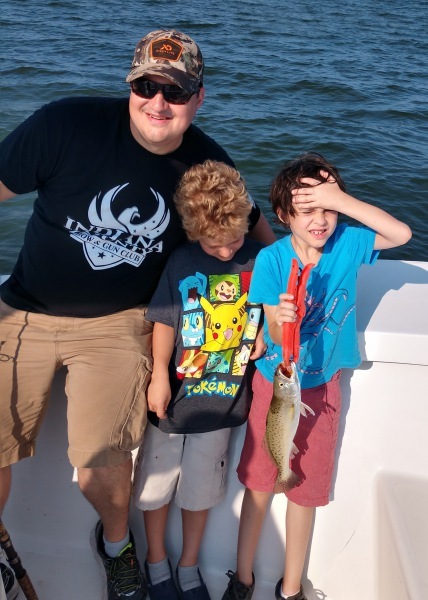 This afternoon brought more Bluefish along with some "keeper" Red Drum. 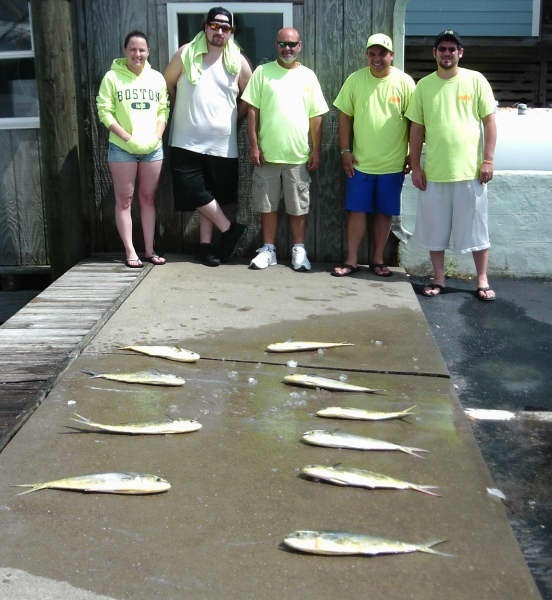 Anglers who ventured offshore reported rough conditions this morning along with slow fishing. A few Wahoo and scattered Dolphin was the main catch for today. 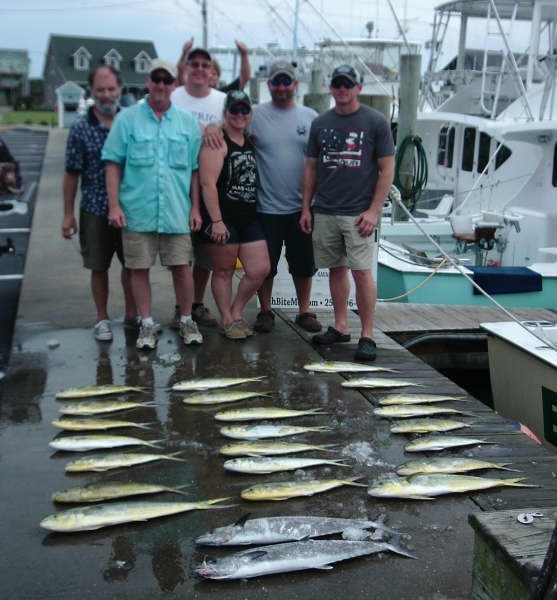 Anglers returned with high spirits and good attitudes for a great day on the water! 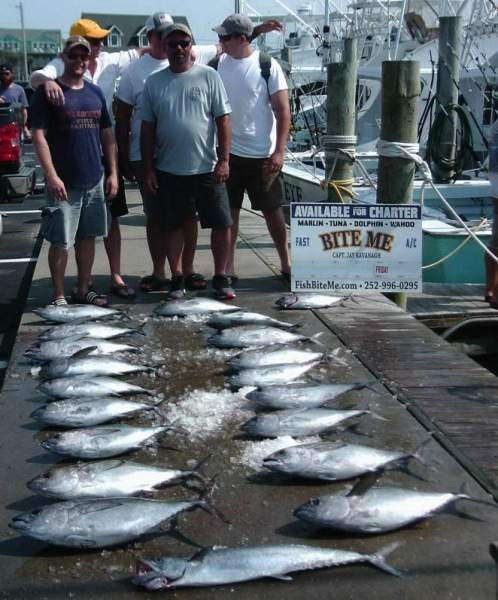 Akira Min of Cary, NC: Sailfish release on Tuna Duck. 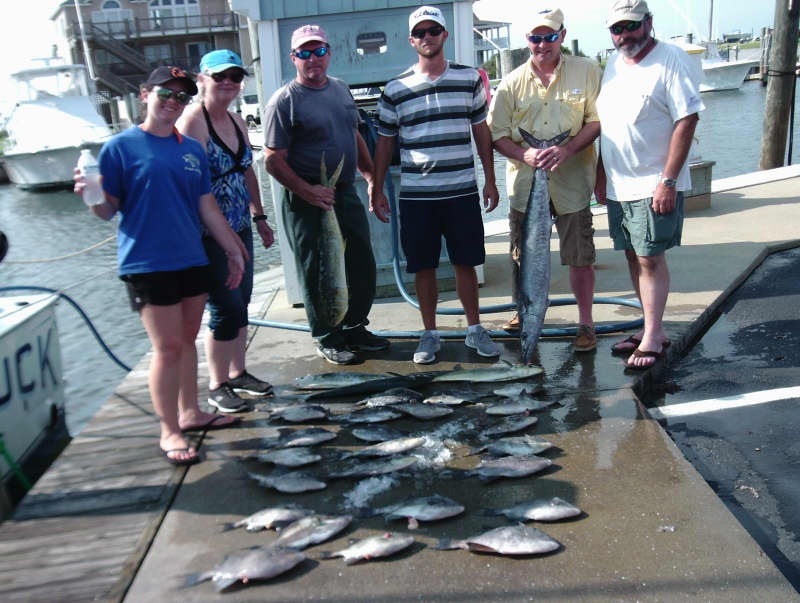 Inshore anglers had a great time catching Bluefish and Red Drum (keepers and releases). 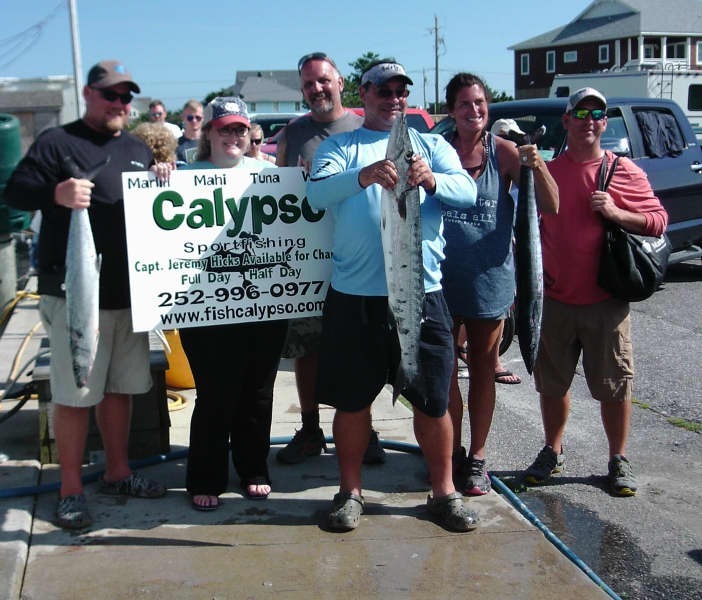 Offshore anglers returned with a variety of fish - King Mackerel, gaffer and bailer Dolphin, Wahoo, and Blackfin Tuna. 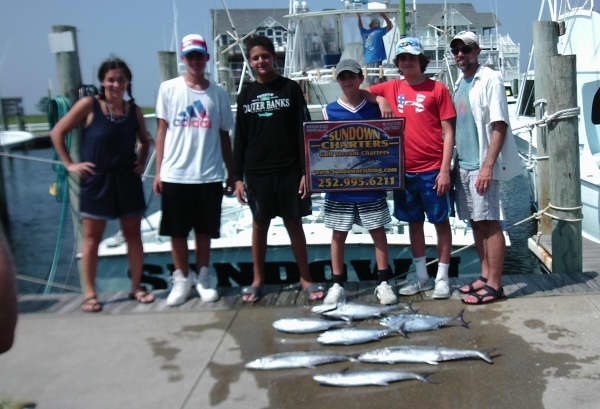 Bottom fishing slowed down due to a strong current. One Sailfish was released. 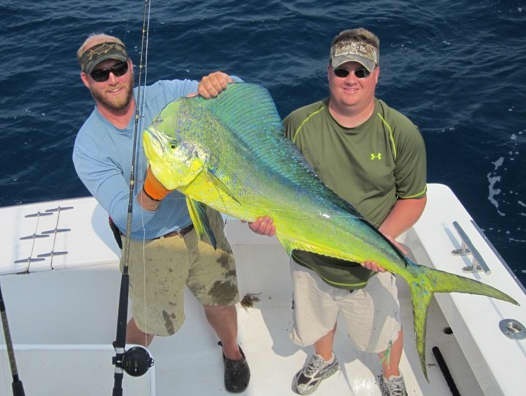 The weather should remain nice throughout the week so don't miss out - call us at 800-676-4939 and book the fishing adventure of your choice. 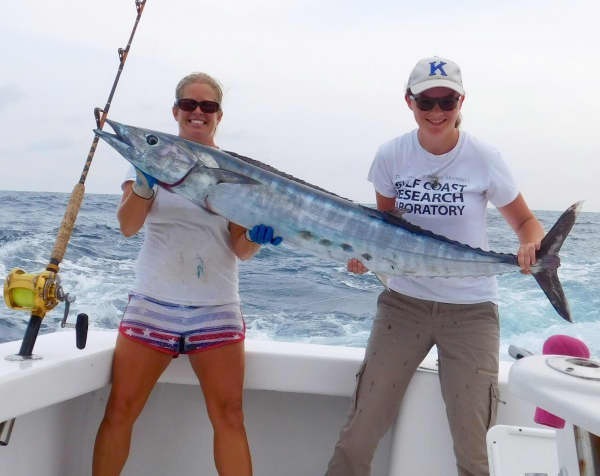 Tiffany Reinhardt of York, PA: Barracuda release and 43 lb. 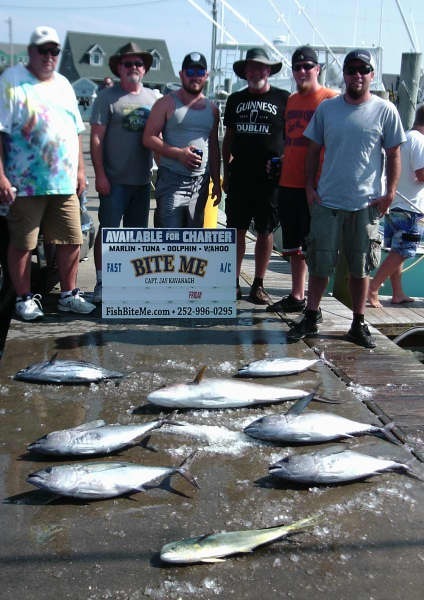 Wahoo on Bite Me. Cody Hoffman of Medford, NJ: Sailfish release on Release. Jason Hoffman of Medford, NJ: 56 lb. Wahoo on Release. 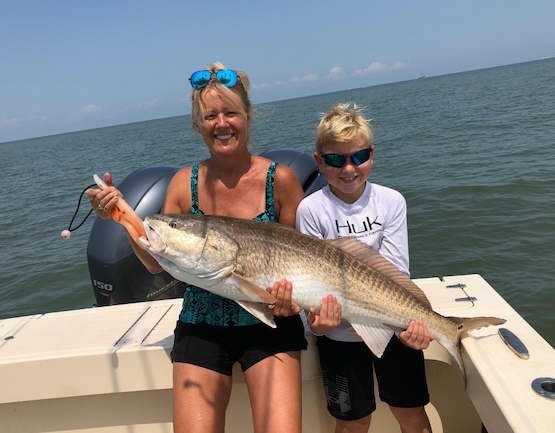 Libby Delaney of Bluffton, SC: 46 lb. 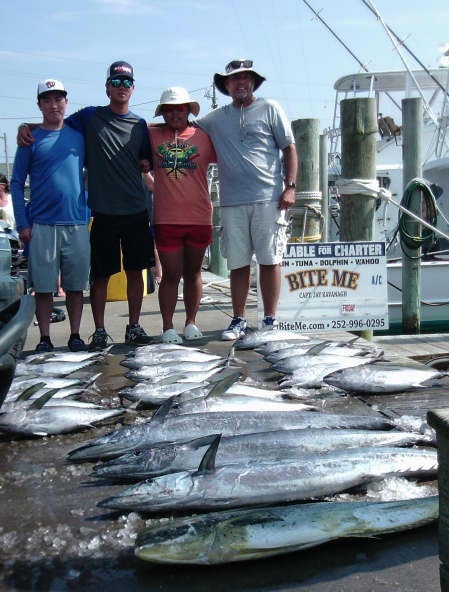 Wahoo on Hatteras Fever II. Doug Delaney of Bluffton, SC: 35 lb. 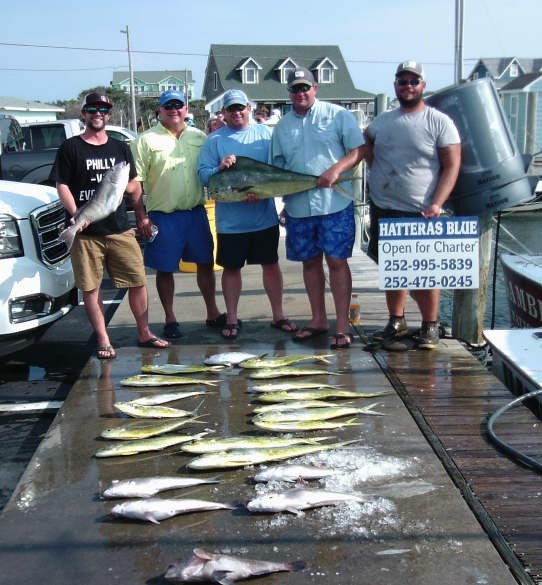 Dolphin on Hatteras Fever II.